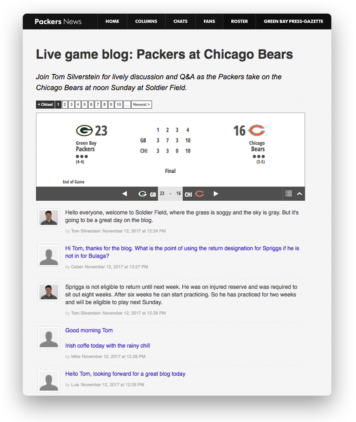 Wanting to be ahead of the curve and take fan interactions to the next level, USA Today was looking for a way to do more than simply provide stories and reports on live sporting events through its web properties. This is something Mike Davis knows well. 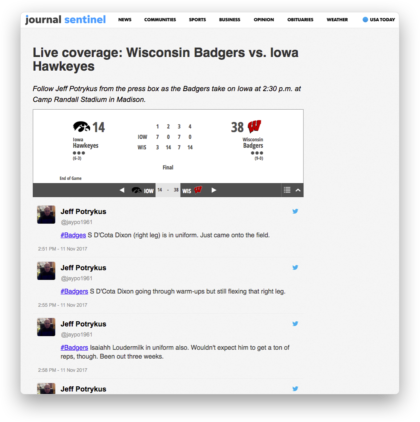 He’s the Deputy Managing Editor for Sports at the Milwaukee Journal Sentinel, part of the USA Today Network and he had long sought a way to elevate fan conversations to the next level.